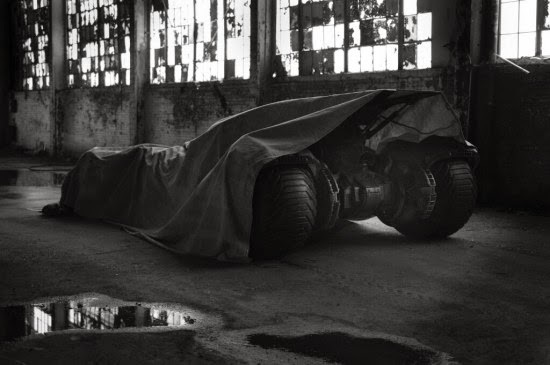 Yesterday Zack Snyder gave fans a tease of the Batmobile for his Batman Vs. Superman film due out May 6th 2016. Rumor from Snyder is we may get the full reveal later today. In the mean time what do you fellow epic reviewers think of this batmobile based on the above image? Based on the image I am expecting a blend of one of the Shumacher Batmobile's and Christopher Nolan's Tumbler. Stay tuned to The Epic Review for when Zack Snyder decides to pull the tarp!